WILLEMSTAD - The gasoline price will go up again next month. An increase of 9 cents per liter. Drivers will pay at the gas station 1.81 guilders per liter. The diesel price will also go up by 8 cents per liter and drivers will pay 1.20 guilders per liter. The increase is due to a higher purchase price. 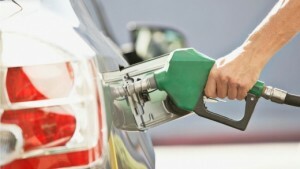 Last month, gasoline also rose sharply, by 10 cents per liter. Water and electricity are also rising in price. Water by more than 11 cents per cubic and electricity by one cent per kilowatt hour.